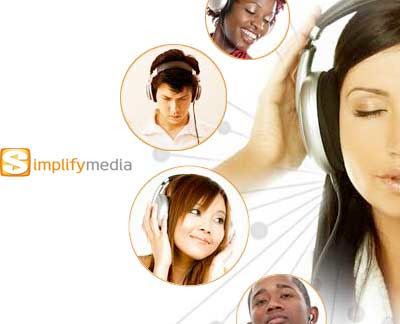 Simplify Media is Now Acquired by Google. As part of a demo of the latest version of the search giant’s mobile operating system, Android. Google said it would use Simplify Media’s technology to enable Android users to stream music to their mobile phones. Simplify Media said little when it pulled its applications in March, other than that the company was headed in “a new direction.” Apparently that new direction was the express train towards Mountain View. Given the current competitive spirit between Google and Apple, it seems unlikely that a new version of Simplify Media will return to the App Store. However, rumors persist that Apple is creating a Web-based music streaming service, based largely on its acquisition of just such a technology in Lala. So iPhone users may eventually find that gap filled by a first-party solution. With Google’s entry into the space, it certainly gives Apple incentive to move in that direction, if it’s not doing so already. What Is Simplify Media before it Acquired by Google? Designed for both the Touch and the iPhone, Simplify Media is an awesome software that lets you tap into your entire media collection from a single source. That means if you have a couple of networked PCs at home plus a media server, for instance, you can give your Ipod Touch access to all media files in each PC without having to download them one by one. Each home machine will need to be installed with a desktop component for the app, which is available free for Windows, Mac and Linux. Once set up, all playable media on each machine should be available on your iPod Touch unit, by connecting either via WiFi, EDGE or 3G. You can browse through the listings 9jump navigation is supported) or sort them by various fields such as artist, album or genre. iTunes libraries for up to 30 of your friends can also be accessed via the web, as long as their computers are online. Cover art, artist bio and lyrics can also be accessed for all songs. I had a similar app before for my iPod Classic and that thing cost around $40, if I remember it right. This below-$5 utility is a serious must-have for every iPod Touch user – all that functionality and price just can’t be beat.